Have you got sore spots when wearing fancy pumps, sandals, new shoes or shoes that you don't normally wear? You fell in love and bought those shoes, but when you put them on, your feet get blisters. They may be sleeping in a shoe box. that you want to block friction and spray it directly. Leave it dry for a few minutes until it creates a film. durable film once the first layer dries. we recommend adding a second layer. in warm water and rub it off. What kinds of shoes does it work for? 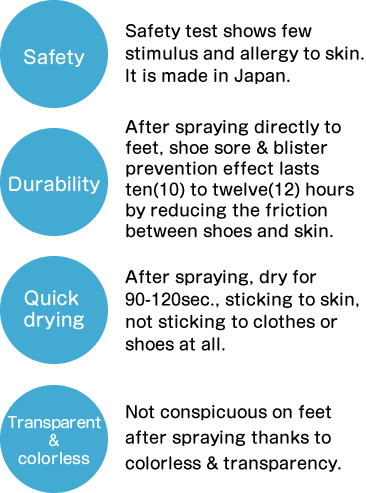 It works for any types of shoe, including pumps, sandals, boots and sneakers. Which parts of the foot can I apply?  You can apply it on the heel, instep, sides of your foot, and any other parts you can get blisters. Can I wear stockings or socks after I use it? Of course, you can. Let it dry fully before putting them on. How long can it prevent blisters? It works for 10 to 12 hours. You can add a second layer to create a more durable film. No, this item is planned and produced in Japan. Unfortunately, this product isn't made for healing blisters. Please do not apply it on the area with skin problem. Where can I buy KaKaToGuard? 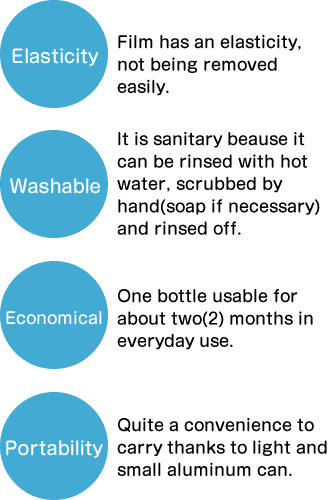 You can buy it at shoe stores, shoe repair shops, and hardware stores. We accept inquiries concerning KaKaToGuard. Please read and agree to "Personal Information Protection Guidelines" before making any inquiries. © THE HOSHO CORPORATION All rights reserved.